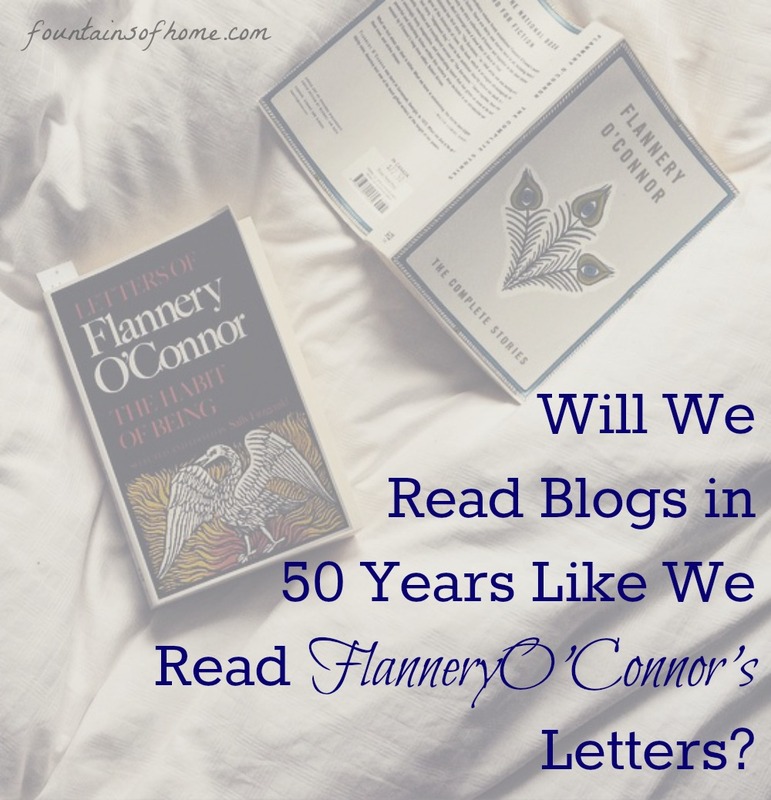 fountains of home: Will We Read Blogs in 50 Years Like We Read Flannery O'Connor's Letters? Will We Read Blogs in 50 Years Like We Read Flannery O'Connor's Letters? I've recently been working my way through Flannery O'Connor's The Habit of Being. 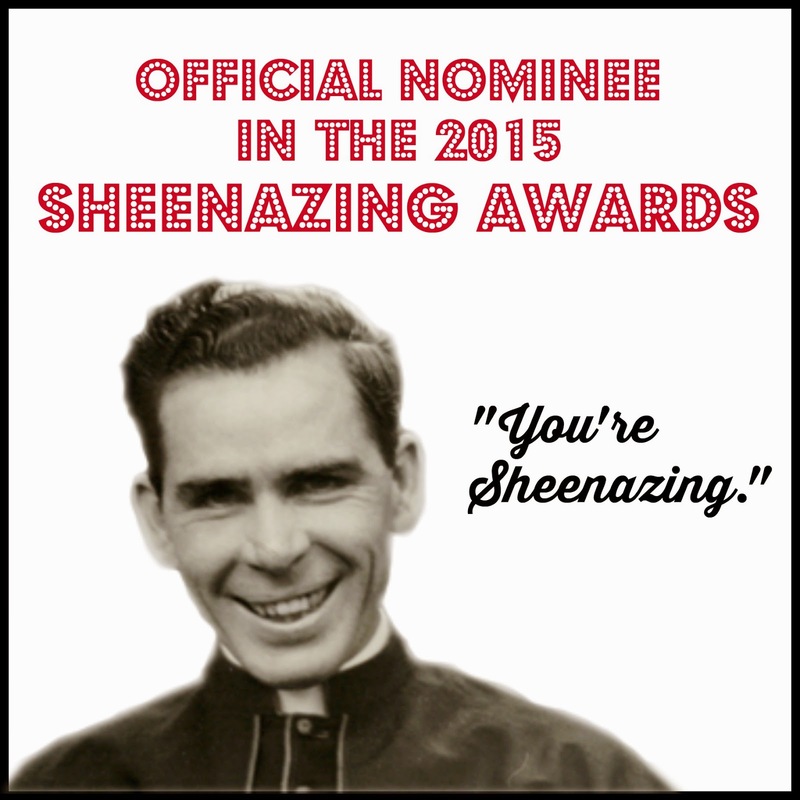 It's a collection of her letters and correspondence to her publishers, editors, and friends. But it doesn't read as boring somehow, even if it's described as just everyday correspondence. I'm not sure if it's because her wit and brilliance ooze out of every letter, or if it's because the idea of communication taking so long and being so important and meaningful seems so foreign to me - because I love both aspects. I've always loved letters and the romance of letters. There's something thrilling about messages being sent out into the world and arriving at their destination in far flung places and all you had to do was stick a stamp on an envelope. I remember being a girl and loving having pen pals and the expectation and anticipation of letters coming in the mail. And now that all seems foreign. I get messages from my friends instantly. The trills of a text notification just doesn't seem to have as much import as that thrill of opening the physical mailbox and sifting through piles of flyers to find something meaningful. I also don't go back and read my text conversations. And maybe that doesn't mean much, if I were living 80 years ago would I go back and reread every letter? Would I have brilliant family correspondents that merited repeated reading? Doubtful. But the idea of that lack of permanence that all our digital communication now lacks has gotten me thinking. Mad Men creator Matthew Weiner has said he got much of the research for the common, everyday, realities of the 1960's from journals. He said that not many journals noted JFK's assassination, but they did speak to what they purchased that day, how they got around, how their everyday life actually functioned. Naturally I leap to the conclusion and wonder if any of our online journals will be read in 50 years. I know that many bloggers write specifically with the idea of their own children reading it one day. I don't really bear that in mind very often because when I was a child the last thing I'd have wanted to read were my mother's musings on being my mother. My childhood memories are intact the way they are and sometimes I don't know if my mother's viewpoint on them would be helpful at all. If we insert "journal" for "blog" would our mothers want us reading their journals? Have we just changed our idea of journalling to a public experience and one that's meant to be viewed? I can't help but think that this is a big philosophical difference between the journalling that happened in every generation before us and ours. And I don't really know if anyone will bother to look back in 50 years at our digital records. Will they even exist? Will people even care about us 50 years from now? These are kind of depressing thoughts. That being said, are there journals from the 1980's? I sometimes think that my mother's generation was the one caught in the terrible middle where the written documentation of letters and journaling had fallen out of style, but at the same time they had no way to share the everyday happenings like we do now. 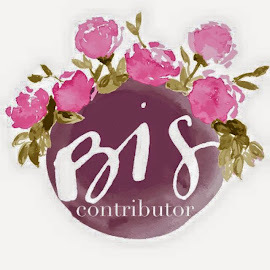 I think the richness of blogging today and it's purpose is found in supporting one another and sharing what life really is to those around us, and not really for posterity's sake. But I could be very mistaken. Maybe in a hundred years a future Matthew Weiner-type genius would like to create a television show that accurately portrays this weird phenomenon called stay at home parenting and stumbles on a wealth of research material in a buried server somewhere. It just has me wondering what history will think of this time. I love that we can go back and read past histories in so many different eras. I'd hate that we as human beings would or could lose that. But then again, I'd like to think that if Flannery O'Connor were alive now she'd have a really badass blog that I'd read everyday. Ah this is such a good question! I read her prayer journal this past winter, and it was such a lovely thoughtful glimpse into the workings of a complex soul. I wish she had a challenging a beautiful blog I could read each day, but I wonder if we would have other materials of hers to read if she had spent that energy blogging. I've been thinking about that a lot lately -- should I be writing something that is bigger or different than my blog? Probably. Should I be doing that instead of or in addition to blogging? I don't know! 1) Saying The Habit of Being is the best is kind of redundant. Like saying, "Red is very reddish." No? 2) "I can't help but think that this is a big philosophical difference between the journalling that happened in every generation before us and ours. And I don't really know if anyone will bother to look back in 50 years at our digital records. Will they even exist? Will people even care about us 50 years from now? These are kind of depressing thoughts." I think about this far more than I should. Or maybe it's good that I'm thinking of that. Usually it circles around the idea, "Am I wasting my time blogging? Should I be doing something, I don't know, _tangible_?" I hate the idea of all this work and time going into soothing that's going to disappear. But at the same time, what's going to happen to all those written letters and birthday cards I've saved since I was ye high? When I die, either someone will continue to save them, and that all depends on whether someone else sees the value in them, which they might not . . . or they'll be thrown away. So it's the same thing in the end, isn't it? Point being: only striving for eternal life is really worthwhile because that's what's permanent, and the rest is just icing. But it is something that troubles me, still. 3) My mother wrote letters to her mom during the 80's and 90's, and I'm sort of curious to find them and keep them for myself. So maybe it isn't such a waste for me to blog after all. ;) I mean, is there an _essential_ difference between a Gilead-type letter to your child and a online journal kept for them, other than being public? Ooo, I should write a corresponding post to yours, got way too much I could go on and on about! I'm very late to the comment party, and I'm a lurker, but I just wanted to shout Amen to your observation about The Habit of Being. O'Connor wrote slooowly, and I think her letters emphasize the time and effort she put into even quick missives to her editors. I don't know if blogging lends itself to that kind of slow-literature and thought. Also, I got back from Milledgeville last Friday, and it was utterly, absolutely glorious. Like a visit to a friend's house. Why Do I Remain Catholic Anyway?